Yogo Gulch in central Montana is one of the most important gem deposits in the United States. 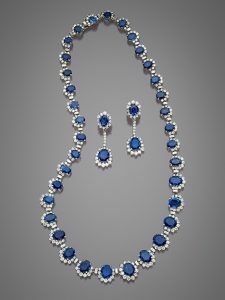 Although very little material has been recovered there in recent years, it has produced several million carats of rough sapphire over the course of its history (Voynick, 2001). These stones, known for their vibrant untreated blue color and high clarity, have always commanded a price premium, especially in sizes larger than 0.75 ct. This paper offers a thorough gemological characterization of Yogo sapphire, which may be unfamiliar to many gemologists. Fortunately, Yogo sapphires are unique and experienced gemologists can easily separate them from gem corundum of different geographic origins throughout the world, making it possible to determine the provenance of important stones from this deposit.